I just realized that the 30 Day Challenge has an extra Day 21 - the second of which I posted as Day 22! Oops! Day 22 was supposed to be Saddest Moment in a Movie - I think we'll just refer to the movie that makes me cry for that one. 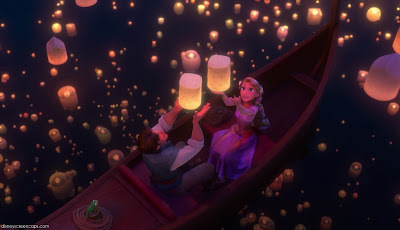 Day 23 is best magical moment in a movie. This is another one that could go so many ways, but I picked my two favorites. Floating Lanterns in Tangled. First time I saw it, I cried. Pregnancy hormones may or may not have contributed to my emotional reaction, but nonetheless it is a gorgeous moment. It was replicated at Disney on Ice, and that was pretty magical, too. 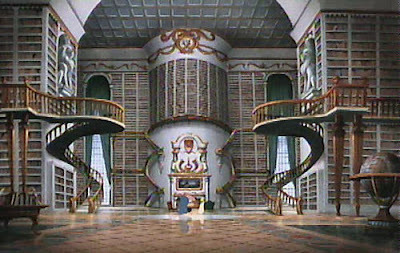 The Library in Beauty & the Beast. Um, who wouldn't fall in love with the guy who gives you all of this? It's my dream to have a room like this in my castle home. 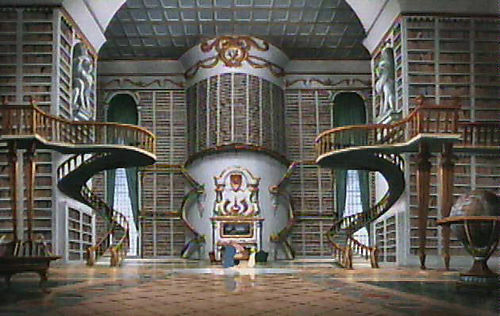 At least one swirly staircase is necessary.